UBO European heavyweight champion Zoltan Petranyi (51-20) was all set to defend the title against Temoo Tamaitiahio (5-1) Friday (Nov 28) night in Papetee on the island of Tahiti in French Polynesia but then pulled out of the fight as the ring was full of bumbs and holes. 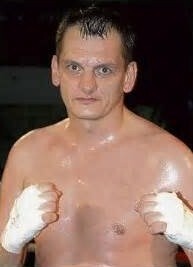 Petranyi (pictured) writes that he arrived to Papetee almost a week before the fight and hurt his foot in the same ring during his first training. The ring was later repaired but Zoltan still felt it was too dangerous to go through with the fight and that killed the mainevent on this promotion staged by Rodrigue Ah-Min. Papetee is a long way from Budapest (Hungary) and the promoter was far from happy and threatend to cancel the plane ticket home for Petranyi - and apparently did so and as of this evening (December 1) Petranyi still isn’t back in Hungary. Latest from Tahiti (December 2) is that Zoltan Petranyi now have a new plane ticket and will leave from Papetee on Thursday and will be back home in Budapest on Friday night. Former WBO supermiddleweight champion Karoly Balzsay was diagnosed with cancer in March of this year but after treatment he is now said to be ok - and not only that: he wants to comeback for a farewell fight during 2015. Balzsay retired two years ago with a record of 25-2 (18) and has since worked as a coach in amateur boxing. Russian heavyweight Denis Boytsov (34-1) take on Brazilian veteran George Arias (55-11) December 6 in Oldenburg on Sauerland’s big - and last - show with ARD as TV partner. Boytsov have since his last outing - a disappointing points win over Timur Musafarov - switched trainer from Karsten Rover to Ulli Wegner. Before that - in his debut for Sauerland - Boytsov was upset by Alex Leapai so it’s a fighter that has a lot prove Saturday night.